Last week’s before and after post was so well received that we decided to dive right into another one. 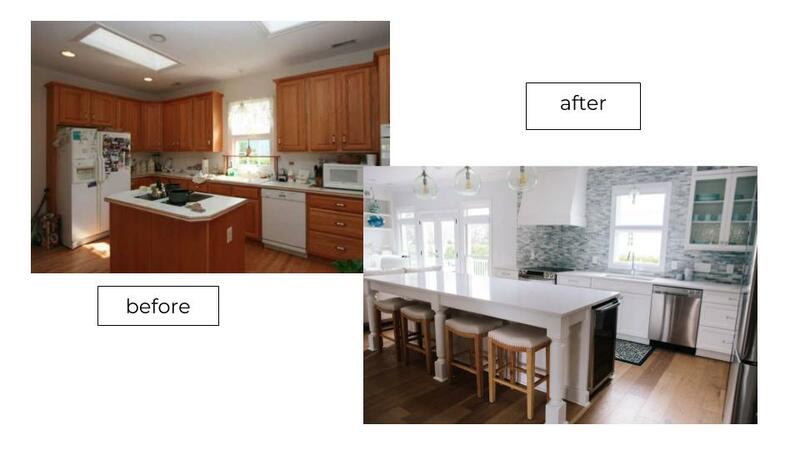 The before images from #clientarboretumdrive are somewhat painful – we can say that because our clients bought the house in this way and it was not their choice of decor. 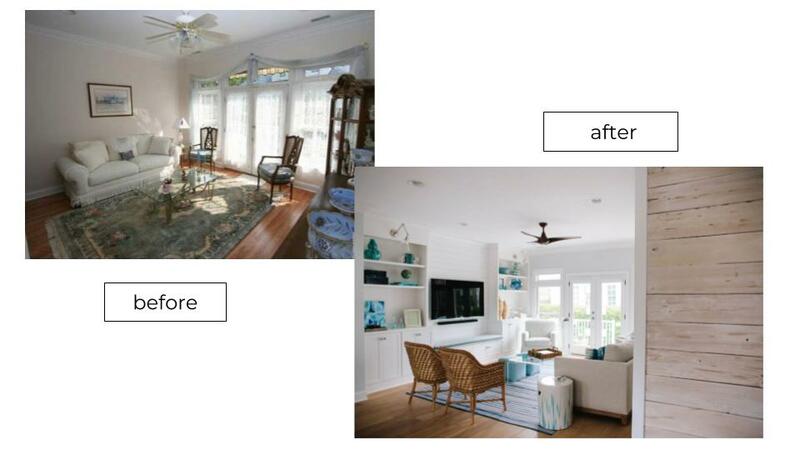 We stripped down the space of its dated, floral-heavy decor and incorporated a modern, coastal feel. In the living area, we added built-ins and shiplap for both architectural interest and practical storage purposes. The kitchen was a very standard, builder-grade kitchen from the mid 1990’s. We took down a wall to open the space up to the dining and living area which helped bring in more natural light. We expanded the center island so that our clients could use it as a breakfast bar and added a beautiful blue mosaic tile backsplash. 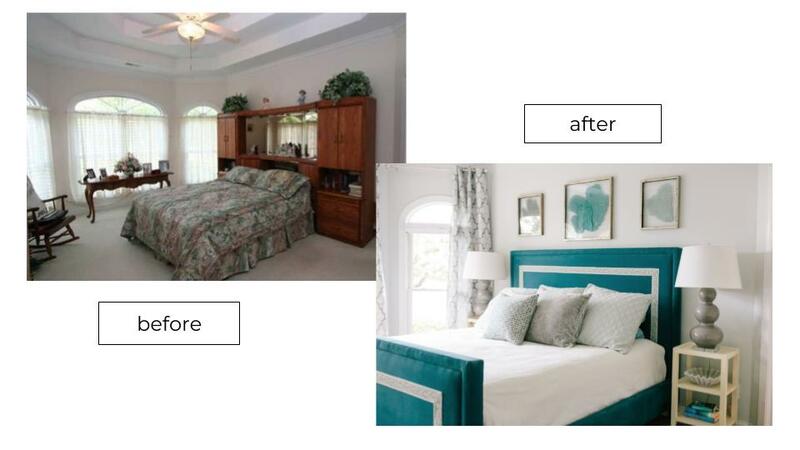 The light filled bedroom needed new furniture to bring it into this decade 😉 We added a gorgeous deep teal velvet upholstered bed, timeless gourd bedside lamps and lovely framed sea fans to finish the space. To see more of this project, head over to our portfolio page.